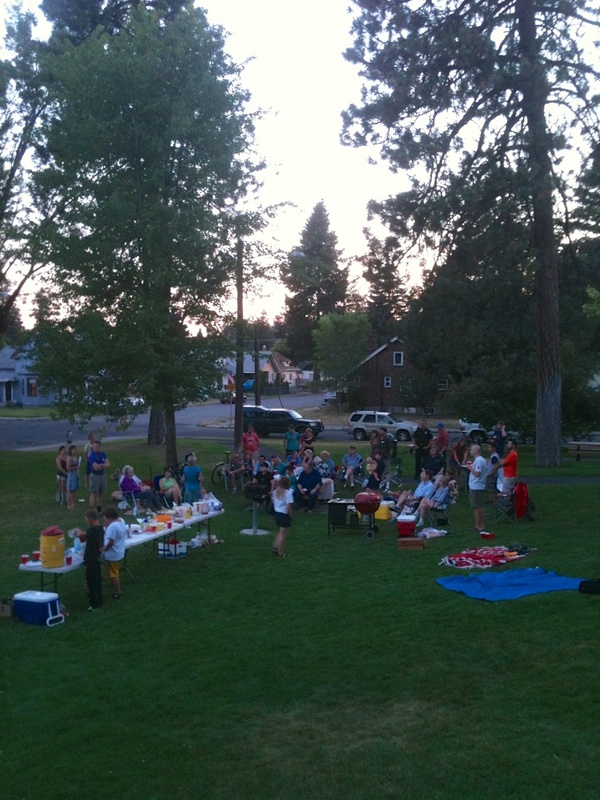 The Emerson-Garfield Neighborhood Potluck took place last night at Emerson Park. 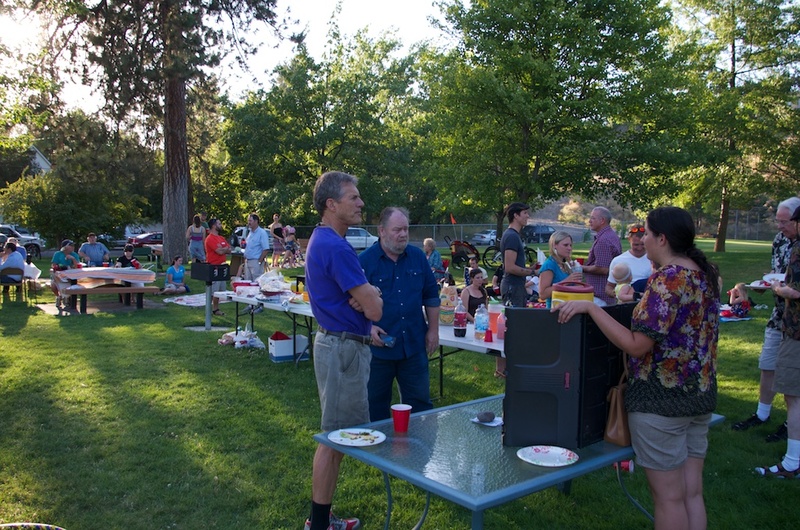 There was a great turnout of people from all over the neighborhood and a ton of food that included great dishes like quinoa salsa, English shortbread, Asian peanut noodles with tofu, and seafood salad (in addition to the free hot dogs, of course). City councilwoman (and current state senate candidate) Nancy McLaughlin took part, as did former councilman Steve Corker. Downtown’s Main Market Co-op was also on hand to help spread the word about affordable local food. As part of the market’s contribution to the potluck, they brought along a giant bowl of the popular kale salad from the deli. During the meeting portion of the event, all the attendees were given a chance to introduce themselves and talk about what they wanted for the neighborhood. 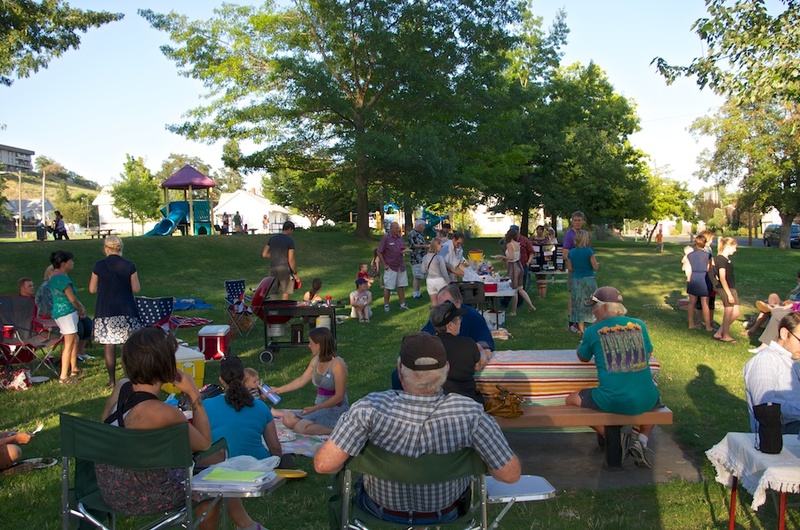 Their suggestions included more bike lanes on the residential streets, better collaboration between local businesses and residents, steps to reduce crime (although a city police officer noted that Emerson-Garfield actually has one of the lowest neighborhood crime rates in Spokane this summer), and more community-wide activities. 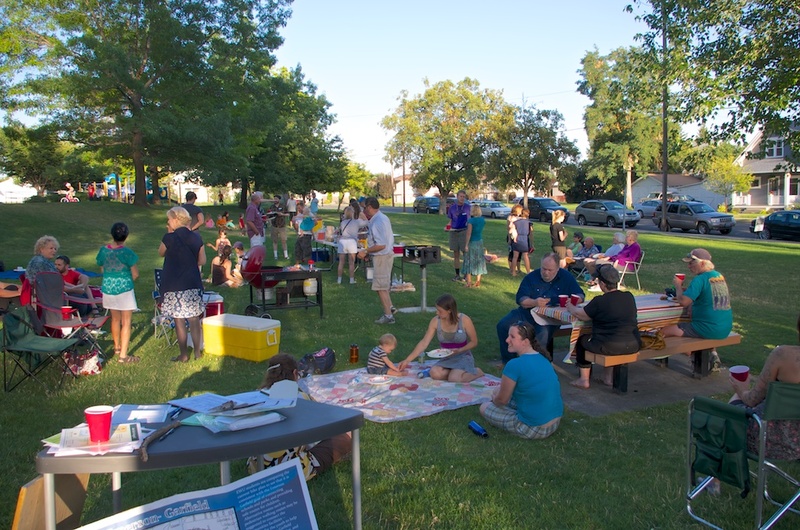 We also discussed and voted on park improvements. 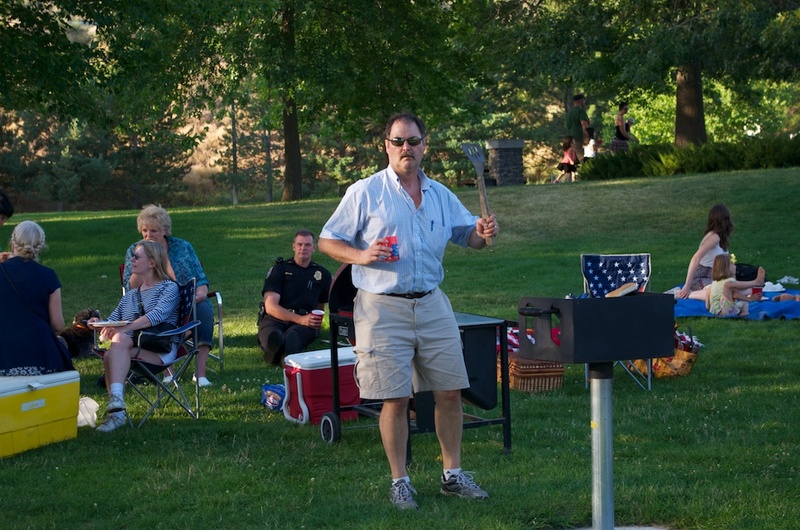 Several new pieces of playground equipment — possibly including a seesaw, a merry-go-round, swings, and a slide — will replace the single unit in Emerson-Park, and both Emerson and Corbin Parks will get new electrical hook-ups for things like live music. Corbin Park will also have a new set of swings put in. 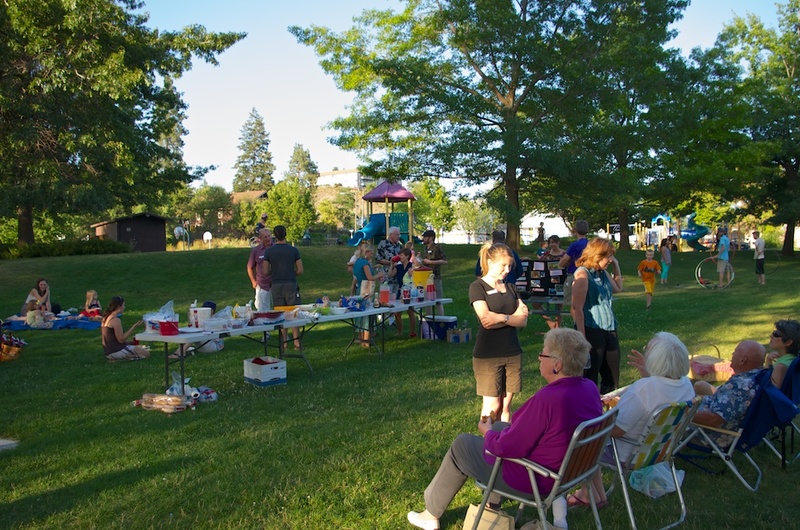 At the end of the evening, we got the chance to find out about something else that’s going on in the neighborhood — SpoFlow, which takes place every Wednesday night at Emerson Park [map] during the summer. It’s a fun live music jam session with yoga and hula hoopers.